Since 2018 has arrived, it’s a good time to consider some maintenance projects to keep your home in excellent shape over the year. Having a home maintenance schedule checklist helps ensure you’re on point to make sure your home operates efficiently and is comfortable all year. Creating a simple schedule will make preparing your home for winter effortless. The following guidelines will help you develop your own schedule. It’s time to think about the most effective methods to warm your residence, and the thermostat is an extremely important component of the procedure. The system’s age, just how you maintain it, also where in your house it’s installed could all influence your home heating costs. 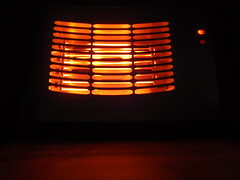 The air emanating from your heater is the same temperature despite the weather outside. Raising your thermostat does not affect just how warm the air is, it simply makes your heater run much longer. If you’re setting your thermostat higher, that will certainly make your system run longer as well as most likely overwork the system while elevating your expenses. If your thermostat is set to 70 degrees, yet the real temperature level in your house is 62 degrees, that possibly implies there’s a concern with the system and that you ought to have it evaluated. Specialists advise obtaining a programmable thermostat so you may establish a reduced temperature when you typically aren’t there. It will usually pay for itself within a year. If you do utilize a space heating units, make certain it has the UL tag as well as a tip over shut down feature. Of course, these should never be left operating unattended. 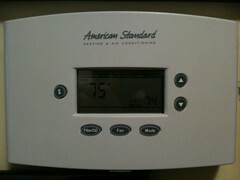 The placement of the thermostat is additionally vital to preventing incorrect readings. The objective is to have the thermostat as centrally located as is feasible, far from direct sunshine, or a kitchen area … those locations where you’re getting some intrinsic temperature level variances. Make certain the area around your heater is clutter free, especially free of any flammable materials.